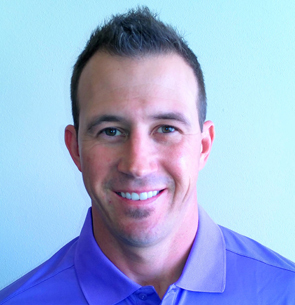 Jason Witczak is a PGA Class A Professional instructor and Director of Instruction at The Club at Pradera and Pinery Country Club, who specializes in kinesiology and proper setup, honed his playing and teaching skills under the watchful eye of the great Manuel de la Torre who was his instructor in his home state of Wisconsin. Jason is best known for increasing distance with proper training, regardless of physical ability. Jason enjoys teaching all levels of players, from PGA players, to developing student athletes and all golf enthusiasts in between. Jason’s previous work has encompassed developing, instructing and managing John Jacobs Golf Schools junior summer camps at Orange Tree Golf Resort, where he coached a record 170 students per summer. His coaching and mentorship has been invaluable in matching aspiring young players with collegiate institutions that will further develop their growth. Most recently, Jason qualified for the prestigious 2012 National Club Professional Championship. Not only has he been successful on the golf course teaching golfers of all ages how to improve their game, he is also a former NFL football player. Jason and his lovely wife Jaime are parents of three young boys and Jason devotes much of his free time coaching his sons’ hockey and baseball teams. With special guest Josh Cassaday, who finish 3rdin the World Long Drive Championship Focusing on where speed comes from, this seminar will show you how to create more by maximizing your athletic ability!